The mentioned packages are Inclusive of all taxes. *Park timings are subject to change as per management decision. 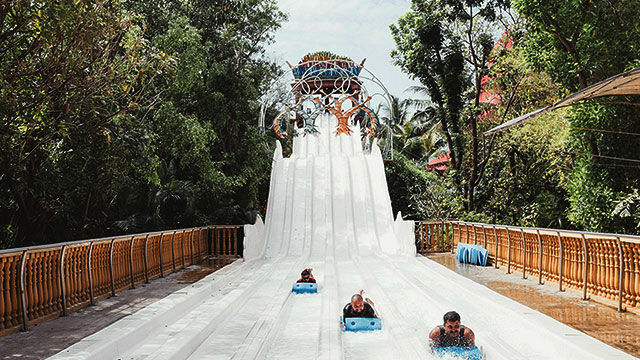 Water Kingdom is one of the largest Theme Water Parks in Asia, both located on 64 acres of land. 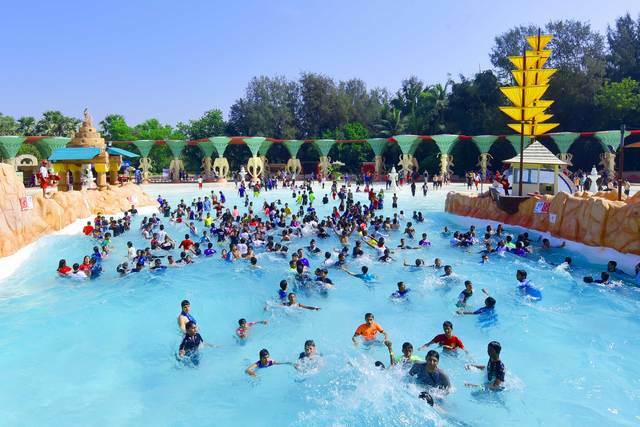 Water Kingdom offers over 30 attractions spread across 22 acres of clean fun with 90 lakh liters of water. Worlds largest Wave Pool is spread across 100 meters with cool blue water and lush gardens. 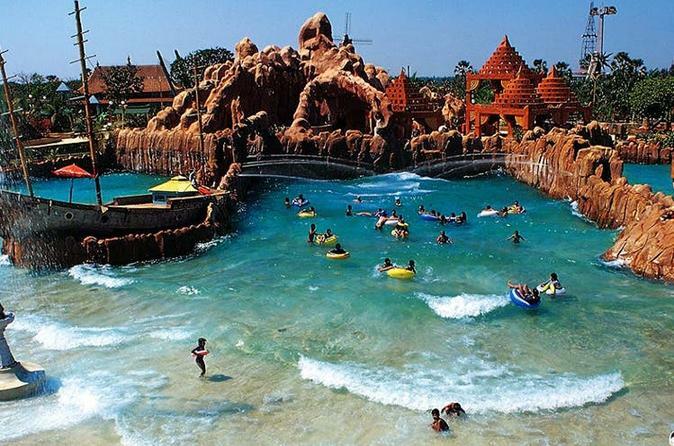 The mega attraction is the Lagoon, Indias Largest Aqua play pool. Spread across 30,000 sq.ft, the lagoon is a perfect family play port suitable for guests of all age group. Goofers Lagoon is recently launched and is another major attraction in the park for toddlers. 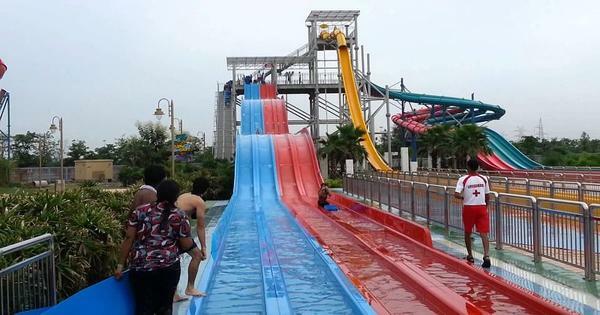 Other well known slides and attractions at Water Kingdom are What-A-Coaster, Drifting River, Mamma Miya, Aqua Drome, Black Demon, Elephant Safari, Serpent Safari & lots more. Entry ticket includes entry and unlimited access to all rides and slides. Ferry ticket, Paid attractions, FandB, Lockers and other services come at an extra cost. Loose or Torn e-ticket will not be accepted (if the name of the guest is not reflecting properly). Guest need to carry their complete e-ticket i.e. along with the TandC pages. This scheme cannot be exchanged for cash. No two schemes can be combined together. Selling of tickets/coupons is not permissible and is a fraudulent practice and a crime. All rights reserved to management.